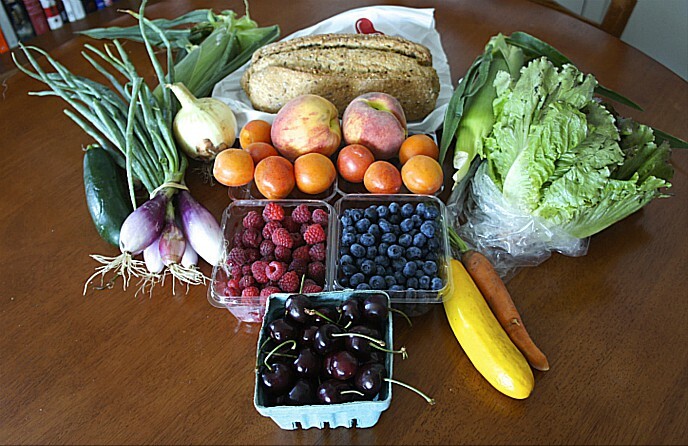 The three pillars of the Good Food movement are a healthier, a more environmentally sustainable, and a more economically dynamic food system that puts Good Food on Every Table. 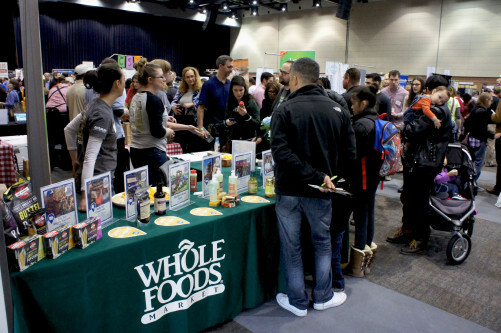 FamilyFarmed’s Good Food Festival, this Saturday (March 18) at Chicago’s UIC Forum, will cover all three pillars — while providing tons of family-friendly fun, great demos from world-class chefs, and delicious food and beverages to sample from producers or buy from vendors at our Good Food Court. But this year’s Festival will put a special accent on that first pillar: Good Food’s massive contribution to building a society with healthier, happier people and lower health care costs. A panel at 10:30 p.m. Saturday is titled Food is Mood, and it will address how food makes us feel, both physically and mentally. This panel of medical experts includes Dr. Ian Smith, a physician who created the 50 Million Pound Challenge, developed the SHRED Diet (and SHRED POP popcorn), and is a well-known TV personality and author. 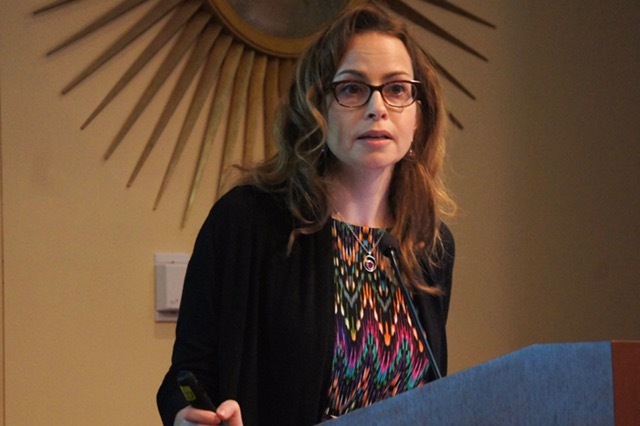 A separate Saturday panel, at 2:30 p.m., is titled Good Food is Good Medicine, and it will focus on the rising priority within the U.S. medical community to promote healthier diets and eating habits — as a means of preventing illness as well as healing it. This panel includes Dr. Melinda Ring, executive director of the Osher Center for Integrative Medicine at Chicago’s Northwestern Medicine and a national leader on this subject. Of course, FamilyFarmed’s 13th Good Food Festival is our big public celebration of the fast-rising Good Food movement. So come, have fun, and learn! And this year… for the first time… admission is FREE. To pre-register, please visit the Good Food Festival website by clicking here. 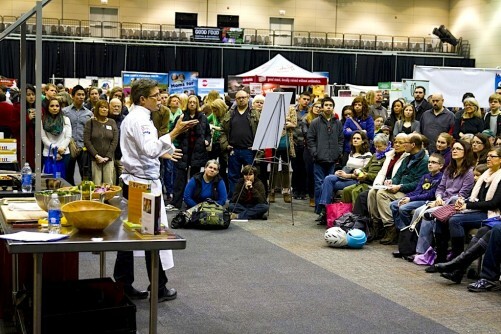 The best part of the Good Food Festival’s special health-focused programming is that you can take part of your day to learn from our great expert panelists — and then sample and buy products from the nearly 200 farm and food vendors who live these principles in the products they grow and sell. The Good Food is Good Medicine panel is actually a sequel to a day-long event last Nov. 5 that FamilyFarmed co-produced with Northwestern Medicine. FamilyFarmed is working to expand this important concept as a major part of our Good Food programming. Dr. Smith is certainly the best-known of those participating in the Food and Mood panel. 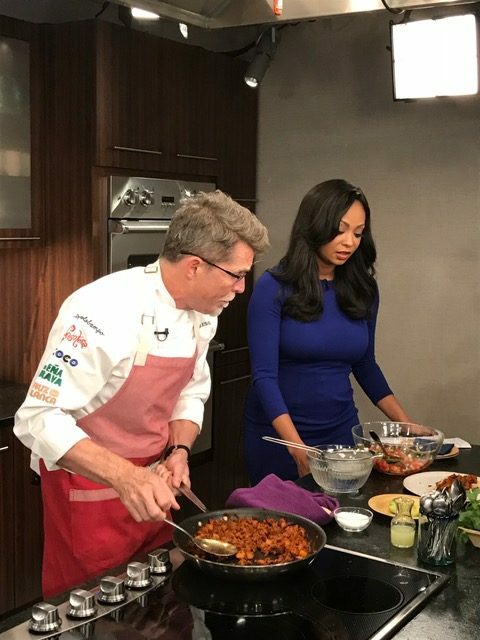 He is the author of best-selling diet books that include SHRED, SUPER SHRED, and EXTREME FAT SMASH DIET; he caught the public’s imagination with two major national health initiatives, the 50 Million Pound Challenge and the Makeover Mile; his SHRED Pop popcorn is increasingly popular; and his TV credits including a stint as NBC News national medical correspondent. His co-panelists for Saturday’s discussion also have distinguished credentials. They are Dr. Judy Fulop, who practices naturopathic medicine at Chicago’s Northwestern Memorial Hospital; Dr. Nataka Moore, director of population and mental health at the Chicago Global Health Alliance; Dr. Tiffany McDowell, an equity and social justice advocate and a community psychologist; and Jane Hawley Stevens, creator and grower at Four Elements Organic Herbals. The Good Food is Good Medicine panel is also loaded with expertise. Joining Melinda Ring will be Dr. Geeta Maker-Clark, coordinator of integrative medical education at University of Chicago’s Pritzker School of Medicine; Dr. Adam Murphy, assistant director of urology at Northwestern University Medical Center (and a FamilyFarmed Board member); and Liz Fiorenza of Wind Ridge Herb Farm, a graduate of FamilyFarmed’s 2015-16 Good Food Business Accelerator cohort. Charlotte Flinn, FamilyFarmed Board chairman, will moderate. #2 — GET TO KNOW YOUR FARMERS AND FOOD PRODUCERS! Only a topic as important as food and health could bump the Good Food Marketplace’s great annual celebration of all things Good Food to #2. For 13 years, this event has been the most fun — and the tastiest — way to learn about Good Food in Chicago. 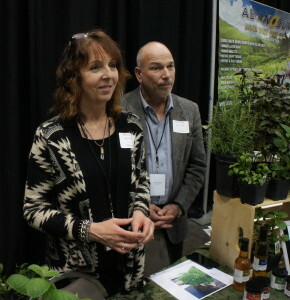 The aisles will be lined with farm and food producers, most of them local and all of them following the sustainable, humane and fair practices that define the Good Food movement. If you are already a Good Food consumer, you will recognize a lot of the business names… but you will also discover some of the best new companies and products in this sector. And not only will most of the exhibitors have delicious products to sample — many will have products for you to buy and take home. We’ll even provide reusable shopping bags for you to fill with your purchases. Let’s reward these vendors for their Good Food good work by making the UIC Forum Chicago’s best pop-up Good Food and gourmet market! The Good Food Marketplace also features great meals, snacks and dessert treats, created by some of Chicago’s best Good Food outlets, that will be available for purchase at the Good Food Court. The Good Food Marketplace also will host the Chefs at Play Stage, one of the most popular features at our annual Festival. These culinary rock stars also subscribe to the Good Food principles that we share. • 11:30 a.m. — Purple Asparagus, a longtime participant in the family-friendly programming at the Good Food Festival, will do a presentation on its popular program that brings fun and information lessons on food to Chicago classrooms, accompanied by Chef Tom Van Lente of Chicago’s The Winchester restaurant. • Noon — Paula Haney, Hoosier Mama Pie Company: As Hoosier Mama’s old-timey slogan goes, “Save Your Fork, There’s Pie.” Hoosier Mama Pie Company has been one of the Chicago area’s most popular bakers since it opened in 2009, in part because of Haney’s dedication to artisan ingredients. Along with two restaurants, Hoosier Mama Pie is a longtime vendor at Chicago’s Green City Market. • 2 p.m. — Artisan Grain Collaborative: The Artisan Grain Collaborative will showcase and demonstrate the process of milling locally grown wheat — and baking a sourdough bread! Learn from Gilbert Williams, Lonesome Stone Milling; Dave Miller, Baker Miller; and Greg Wade, Publican Quality Bread. • 3 p.m. — Rob Levitt, The Butcher & Larder at Local Foods: Rob opened The Butcher & Larder meat shop in 2011 and it has become a Chicago Good Food icon a little more than five years, serving sustainably and humanely produced meat with a heaping helping of first-rate customer service. Rob is fresh off receiving a Good Food Award for charcuterie at a ceremony held in San Francisco in January. #4 — WE’VE GOT YOUR RAFFLE RIGHT HERE! 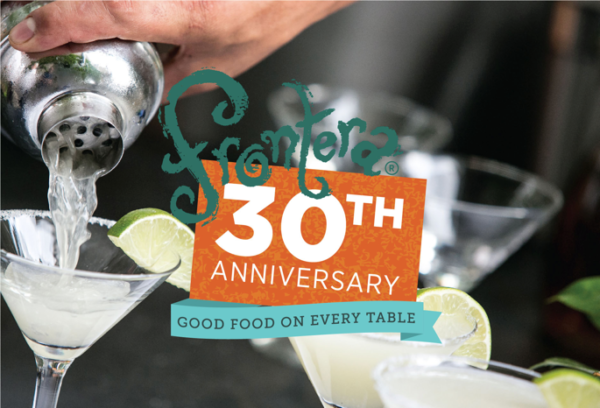 The Frontera 30 event will feature world-class chefs who will temporarily turn the Art Institute’s Modern Wing into an All-Star Culinary Food Court. Have we whet your appetite? Because you can win two tickets to this memorable event by participating in our first-ever Good Food Festival raffle. For the modest price of $10 per ticket, or $25 for three, you will have a chance to win the Frontera 30 Grand Prize; a Second Prize of two tickets to star musician Jack Johnson’s June 2 concert on Chicago’s Northerly Island (the Jack Johnson Ohana Foundation is matching all donations to FamilyFarmed through Sept. 1! ); or a Third Prize of a basket of Good Food treats from our Festival participants (you’ll need will power to keep from eating them all on your way home). BTW, attendees during the first two days of our Good Food Festival & Conference — the Good Food Financing & Innovation Conference on Thursday and the Good Food Trade Show & Policy Conference on Friday — can participate in the raffle too. The drawing will be held at the end of the Festival Saturday afternoon… and you do not need to be present to win. FamilyFarmed believes strongly that the best way to create a better future for the U.S. food system is to instill knowledge and appreciation for Good Food among the youngest Americans. That’s why the Good Food Festival has always urged parents to bring their children. Along with the kid-friendly activities organized by our friends at Purple Asparagus, your children will be fascinated by many of the hands-on, DIY experiences at our Organic Valley Good Food Commons (a full schedule for those programs can be found here). And you can learn about great organizations that conduct Good Food Programs in Our Schools at a panel discussion that will begin at 12:30 p.m.
FamilyFarmed is aiming for the biggest and most diverse attendance at the Good Food Festival, as we move towards our goal of Good Food on Every Table. Will you help us make that happen? This entry was posted in Awards, Chef activism, Chef advocacy, Child nutrition and health, Family Farms, Farm businesses, Farm to table dining, Food access, Food activism, Food and community, Food and health, Food education, Food Entrepreneurs, Frontera Farmer Foundation, Good Food business development, Good Food Festivals, Healthy eating, Local Food, Sustainable conferences and tagged 50 Million Pound Challenge, Artisan Grain Collaborative, Baker Miller, Chicago Global Health Alliance, Dr. Ian Smith, FamilyFarmed, Four Elements Organic Herbals, Frontera 30th Anniversary Celebration, Frontera Farmer Foundation, Frontera Grill, Frontera restaurant group, Good Food Festival, Good Food Festival & Conference, Good Food Financing &Innovation Conference, Good Food Trade Show & Policy Conference, Green City Market, Green River restaurant Chicago, Honey Butter Fried Chicken, Hoosier Mama Pie Company, integrative medicine, Jack Johnson Ohana Foundation, Local Foods Chicago, Lonesome Stone Milling, Makeover Mile, Melinda Ring, musician Jack Johnson, Northwestern Medicine, Northwestern Memorial Hospital, Organic Valley Good Food Commons, Osher Center for Integrative Medicine, Publican Quality Bread, Purple Asparagus, Rick Bayless, Rob Levitt, SHRED Diet, SHRED POP, The Butcher & Larder, The Winchester restaurant Chicago, Tiffany McDowell, Topolobampo, University of Chicago Pritzker School of Medicine, Wind Ridge Herb Farm. Bookmark the permalink.